Before last year’s harvest, most people living in the northern region of Ghana had never seen an orange-fleshed sweet potato. Now, this brightly colored vegetable may be on its way to becoming the region’s most popular crop. This variety of potato was recently introduced to communities in Northern Ghana through a USAID project to counter Vitamin A deficiency — a condition that compromises the immune system and can lead to blindness. 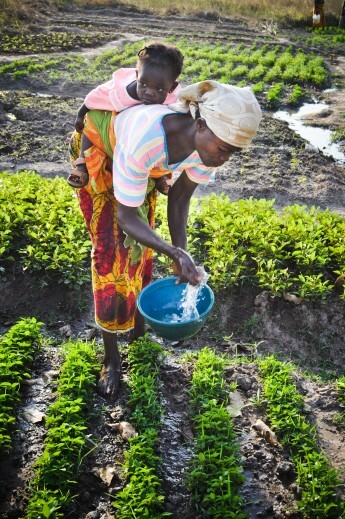 Last year, 439 women in 17 districts learned how to cultivate orange-fleshed sweet potatoes for the first time. The villagers lovingly call the new crop “Alafie Wuljo,” which means “healthy potato” in the local language of Dagbani. At one community’s first harvest celebration, the head of the project Philippe LeMay recalls how government officials and community leaders came to learn how to use the new crop in the kitchen. There were several cooking demonstrations, but the sweet potato fries were a hit among schoolchildren. “Now everyone wants to grow orange-fleshed sweet potatoes,” said LeMay. But encouraging farmers to plant nutritious crops is just one of several strategies employed by this project to address malnutrition in northern Ghana. Besides agriculture, we are also working on improving livelihoods; governance; nutrition; and water, sanitation and hygiene (WASH). These sectors are interrelated and help to achieve common goals. The project introduces new and more nutritious crops to farmers and helps them boost yields through improved farming techniques. It also links farmers to markets, helps community members create village savings and loans associations, works to improve water and sanitation infrastructure, and promotes better hygiene. Ghana is one of the first countries to put USAID’s Multi-Sectoral Nutrition Strategy into action. The fresh approach, which will guide our work through 2025, cuts across several development areas, resulting in programs that are more cost-effective and deliver greater impact around the world. The strength of USAID programs in more than 100 countries provides a large delivery platform for scaling up nutrition services. Just scaling up nutrition-specific interventions to 90 percent coverage will generate a ratio in which every dollar invested yields a $16 rate of return. At a regional Global Learning and Evidence Exchange workshop in Accra, Ghana last month, project representatives shared their experiences, explaining how they overcame the challenges of coordinating across different development sectors. In some countries, technical offices such as agriculture, nutrition and WASH aren’t used to working together. LeMay thinks the transition went smoothly in Ghana in part because the various technical offices are housed within the same government structure. The northern region of Ghana has developed at a much slower pace than the rest of the country because of its remote location, limited resources, sparse population and inhospitable climate. More than a third of children under 5 in these districts suffer from stunted growth, a result of poor nutrition. With this project — implemented by the Government of Ghana with technical support from Global Communities — we aim to reach about 300,000 people by targeting the region’s most vulnerable population — women of reproductive age with at least one child under 5 in households identified by their communities as the poorest of the poor. The project is supporting Feed the Future’s goals of decreasing child stunting by 20 percent and doubling the incomes of vulnerable households in the north. Through an innovative government-to-government approach, USAID and local government officials from the Northern Regional Coordinating Council are working together to plan how best to respond to the needs of the most vulnerable households. To build the capacity of local governments to implement these plans, the project provides training, technical assistance and tools. Notably, this is one of only a handful of USAID efforts that engage governments at the sub-regional levels to support local solutions. The result has been more capable and responsive local governments. “We have been proud to see how the Government of Ghana has demonstrated leadership and initiative in taking additional steps to promote this work for the long term,” said USAID/Ghana Mission Director Andrew Karas. District Assemblies participating in the USAID project have organized trainings to communities, teaching them the importance of building latrines to their health. The latrines keep water clean, preventing diseases like diarrhea that lead to undernutrition. 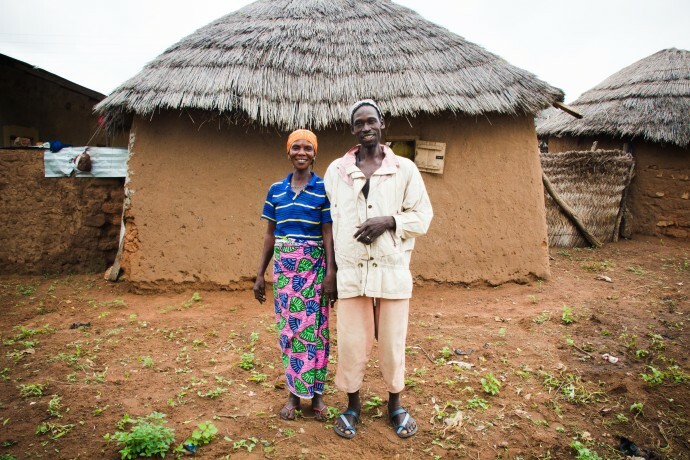 “My children and I used to defecate outside because we did not have a toilet in our home,” said 31-year-old Ama Nuzaara, who lives in West Gonja District. After several latrines were built by community members, people started to connect the dots. 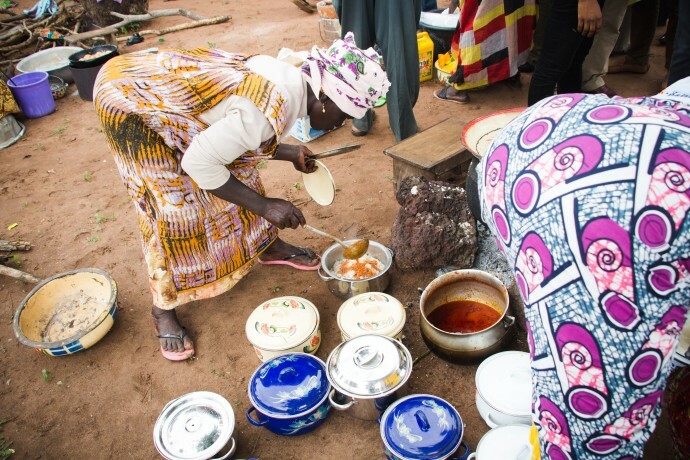 Each of the project’s integrated activities increases the resilience of vulnerable people to the inevitable shocks inherent to living in northern Ghana. “The multi-sectoral approach amplifies the effectiveness of [the project’s] activities,” says Yunus Abdulai, another project official. By strengthening local capacity, the project is working to build sustainability across all sectors of development. Lindsey Spanner is the communications point of contact for the USAID Nutrition Team at the Global Health Bureau in Washington, DC. Celia Zeilberger is the Senior Development Outreach and Communications Specialist at the USAID Mission in Ghana.